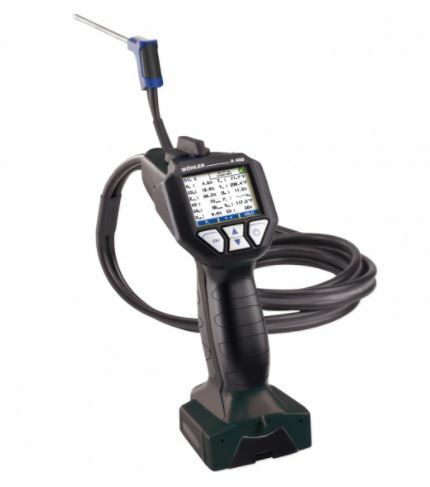 Compact, robust and extremely accurate the A550® Handheld Combustion Analyser is all that is required to perform a complete analysis and inspection of small to medium combustion plants. The A550i is designed to be used in tough industrial heat processes. With its stainless steel sintered insitu filter and built in Peltier cooler, the A550i fits the requirements of the most demanding applications with high moisture content and heavy dust loads. The individual functions can be launched as intuitively as using a smartphone via the large 7″ color touchscreen. And the brightly lit monitor can be read anywhere. The large screen, the clear arrangement and the graphical presentation of readings allow excellent readability . Smart handling features Acquiring measurement values is as easy as could be. 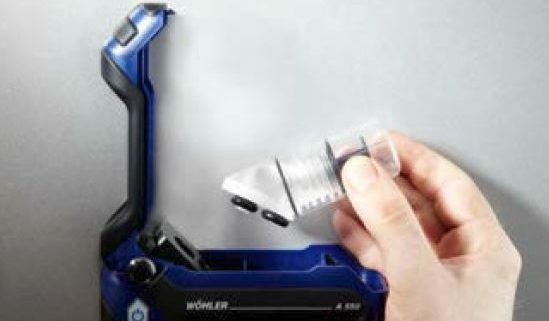 The analyzer is equipped with magnets, so you can attach it to any magnetic objects to work hands-free. The probe is equipped with a start/stop button to run or hold measurement readings. TD 100 Thermal Fast Printer. press of the button on the probe handle. The bright blue condensate trap is serviced in no time at all and without any difficulty. The first out of 5 filters to remove dust and protect the analyser. 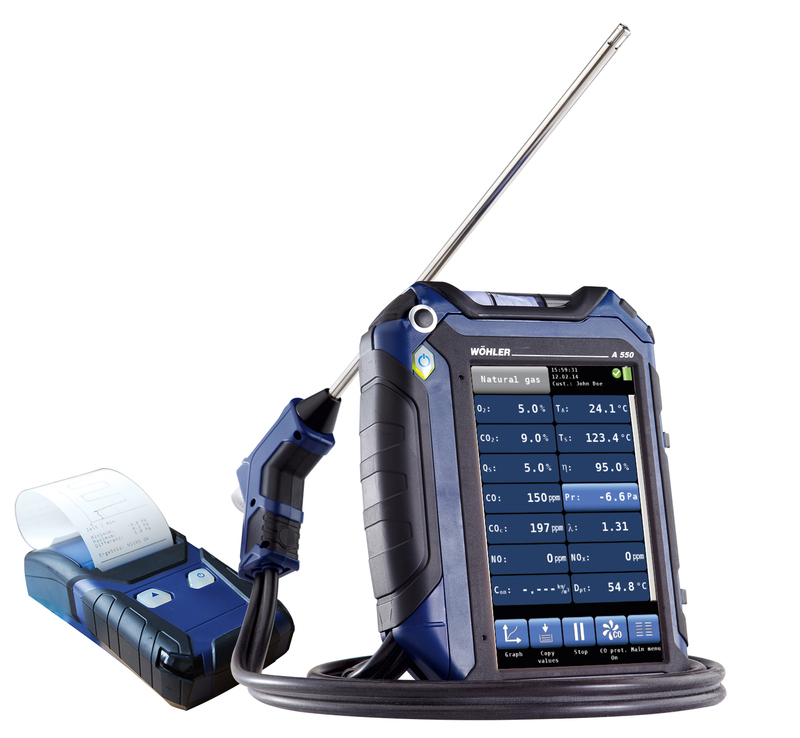 The A 550® Handheld Combustion Analyser offers multiple sensor configurations. Here are the measuring parameter for the most common gases. 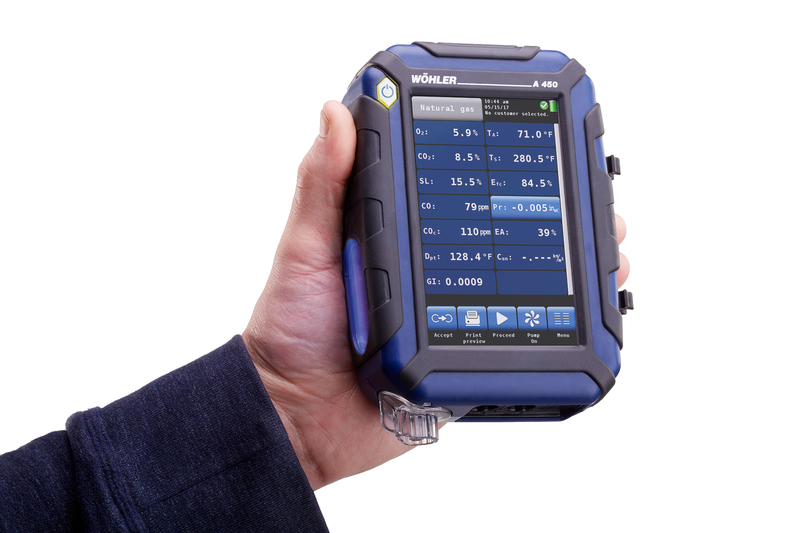 Boilers and burners commissioning, regulatory inspection, combustion control, process gas and emissions monitoring in combustion plants and associated filtration systems are typical applications for the A550® Handheld Combustion Analyser. Large combustion plants: In coal and gas fired power stations, cement kiln, foundry, paper mills… Stringent regulatory requirements for emission monitoring and reporting. 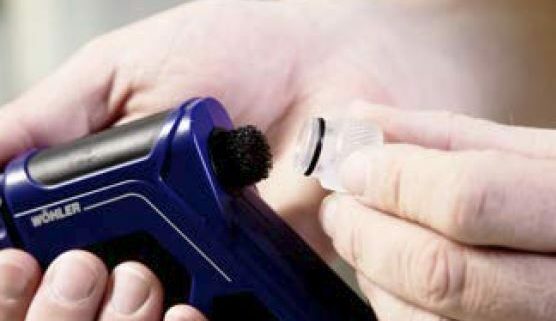 The A550® Handheld Combustion Analyser enables efficient and flawlessly compliance for a large range of contaminants. 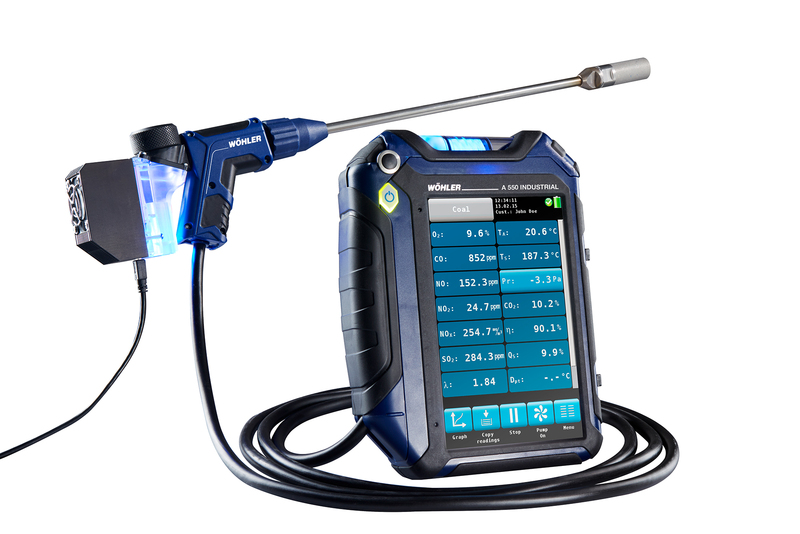 Accuracy and high reliability in harsh conditions of operations makes the A550® Handheld Combustion Analyser a powerful optimisation tool for small to medium size installation of combustion. SCR and SNCR Selective non-catalytic and catalytic reductions are designed to reduce the emissions of NOx by injecting ammonia is directly injected at the combustion chamber exhaust. This process causes the nitrogen oxides to react with the ammonium and turn into nitrogen and water. The A550® Handheld Combustion Analyser is suited to upstream and downstream SNCR/SCR short term testing and provides plants operator with accurate data to control the filtration process while optimising the combustion with upstream CO and O2 measurements.